After “a lot of sweat, laughter, and tears,” the moment of truth for twelve hopeful dancers and two anxious choreographers has arrived. Everything comes together during the season finale of Ovation TV’s reality dance series A Chance to Dance as the “Company”—the group’s ‘official’ title according to the troupe’s directors, Michael Nunn and William Trevitt—performs at the Dizzy Feet Foundation gala. With the final rounds of cuts out of the way, Michael Nunn and Billy Trevitt, the BalletBoyz, take the final company to New York City. SYTYCD Season 2 finalist Allison Holker had to return to Hollywood, so it’s up to Michael, Billy, and the exuberant David Dorfman to get the company in tip-top shape and ready for the Dizzy Feet Foundation Gala. Boot camp continues during episode 5 of Ovation TV’s A Chance to Dance. Nineteen dancers remain after the first round of cuts, but only twelve will perform in the gala and go on tour with So You Think You Can Dance. 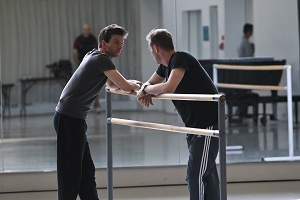 Michael and Billy must leave Jacob’s Pillow to focus on the music, costumes, lighting, and other production needs. In their absence, they call in world-renowned modern dance choreographer David Dorfman as well as SYTYCD finalist Allison Holker to take the dancers through more movement. Michael and Billy entrust David and Allison with the “authority” to cut dancers. “We’re going to have to be ruthless and focus on the [final performance],” Billy says solemnly right before the opening credits of Ovation’s fourth episode of its documentary style series A Chance to Dance. During last week’s episode, the dancers selected from the cross-country auditions found themselves in Jacob’s Pillow, a hotspot of American dance. After only one day of vying for a chance to perform with the BalletBoyz’s new company, the dancers learn that six of them will be going home the following day. A Chance to Dance: Boot Camp Begins! In Episode 3 of A Chance to Dance, the 24 selected dancers find themselves in New York City, ready and anxious for “boot camp”. Some feel the pressure immediately as they all meet for the first time and everyone sums up his or her competition. Michael Nunn and Billy Trevitt, the BalletBoyz, greet the dancers in front of Yankee Stadium to drop a big surprise on them. They tell the dancers they will not be staying in Manhattan; rather, they get on a bus and escape the distractions of the big city for one of the most historical dance sites in America, Jacob’s Pillow. In Episode 2 of Ovation TV’s new reality series A Chance to Dance, Michael Nunn and Billy Trevitt, known as the BalletBoyz, head to Washington D.C. and Austin, TX for their final rounds of auditions. 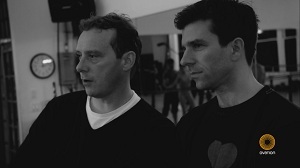 Michael Nunn and Billy Trevitt, former Royal Ballet dancers who are known internationally as the BalletBoyz, are given a daunting task by SYTYCD executive producer Nigel Lythgoe; in the span of only 28 days, the two must scout twelve of the country’s best dancers, nurture a new dance company, and present new work at the Dizzy Feet Foundation Gala. 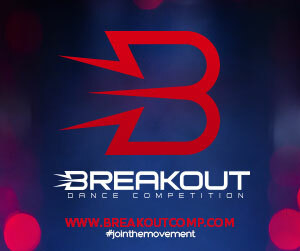 After the gala, the newly formed company will perform on the SYTYCD Season 9 tour.